A broken pipe can cause tons of problems for your home in Potomac. Give Master Plumbing a call right away! Master Plumbing is proud to provide our valued Potomac customers with all of the essential plumbing services that you need for inside and outside of your home. Some of our most common essential plumbing services in Potomac include broken water pipe repair, gas pipe installation, and toilet installation and repair. 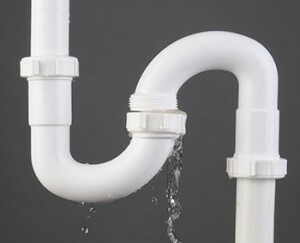 Broken water pipes are always an emergency, and if your Potomac home has a broken water pipe, call the professionals at Master Plumbing. While some broken water pipes are obvious, others can be hard to find and target. Many water pipe breaks are caused by normal wear and tear on your Potomac home, but others are caused from a lack of insulation. If you need your broken water pipe repaired or replaced, we can get the job done at your Potomac home. Natural gas is a very popular way to heat up Potomac homes during the winter, but installing a new utility can be a pain. Master Plumbing has years of experience installing new gas pipes in Potomac homes. Our technicians are also skilled at identifying problems and performing repairs on gas pipes. We also offer annual gas pipe inspections to ensure that your family stays safe throughout the year and that there is not any potential for a gas leak. Interested in switching over to natural gas and lowering your energy bills? Give us a call today. Toilets are some of the least-appreciated fixtures in a Potomac home, but they cause the biggest headaches when they are not working properly. Having trouble with your toilet? Our most common toilet repairs include removing clogs in your Potomac toilet and identifying why your toilet won’t stop running. We also stock a wide variety of energy-efficient and low-flush toilets if you are interested in replacing your toilet. We also offer toilets that are dual flush to maximize your water usage and comfort height toilets for those needing more adaptable plumbing equipment. Three of our top toilet brands include Kohler, Toto, and Gerber.